The timing of his move makes sense as it comes the day before the deadline for players to be waived and still be eligible to appear in the playoffs for another team. Brewer’s playing time was drying up with the Lakers, especially now that the Isaiah Thomas acquisition and the return of Lonzo Ball means fewer minutes on the perimeter and Josh Hart has emerged as a steady rotation player. After Corey Brewer’s buyout with the Lakers, a reunion with his college coach Billy Donovan in Oklahoma City is a serious possibility, league sources tell ESPN. He will talk to other teams too. Corey Brewer expected to take his time in deciding his next spot after his Lakers buyout, I’m told. 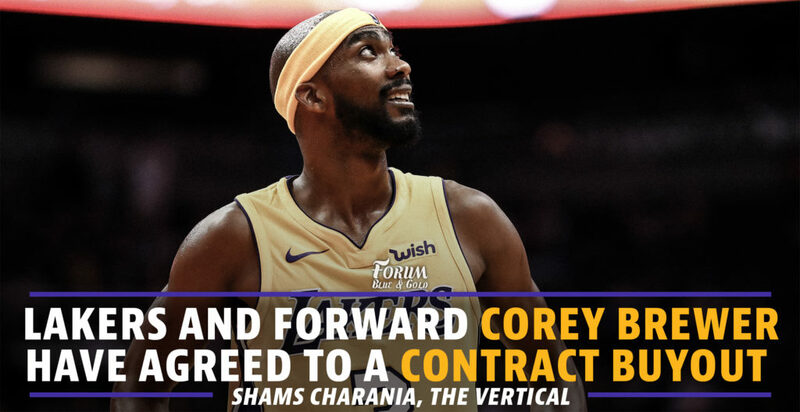 Cavs, Wizards, Portland, Bucks have shown some interest already, but Corey wants a legit role. That “wants a legit role” piece is where the hangup might be, but if that truly is the case the Thunder might actually make the most sense. Not only does Brewer have a history with Billy Donovan from Florida, but the season ending injury to Anthony Roberson has left OKC a bit shallow on the wing. He could come in and play 10-15 minutes a night for them and in the right lineup combinations, simply do his “deny the ball” defense thing (*nods towards Devin Booker*), run the floor in transition, and stand in/cut from the corner in the half court on offense. It’s not the most robust role, but he can do that well enough. 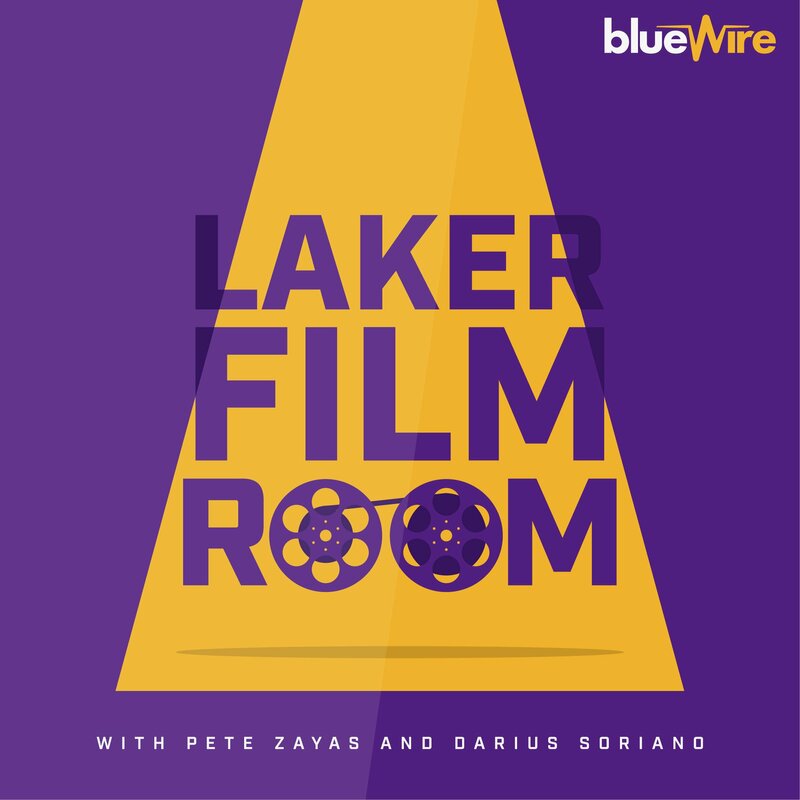 As for what the Lakers lose in this, Brewer was not a rotation piece but he was a veteran whose experience, voice, and demeanor are things that will be missed. I don’t know how exactly you quantify those contributions, but I know they’re more than zero. I can’t tell you how many times I saw one of the young players come back to the bench after being pulled from the game and plop himself right next to Brewer who instantly got in his ear about something he was seeing on the floor — pointing his finger or making hand gestures as he explained something. I’m sure the same was true in practice sessions and in the film room, and those things have value to a roster full of guys who are 25 years old or (in some cases much) younger. And, from an outside perspective, I was always really appreciative of Brewer’s positive attitude and how he carried himself in general. Almost always smiling and offering a down to earth perspective of a player who’d been around the block multiple times and able to offer perspective as someone who has been on every type of team in the league. So, yeah, I’ll miss Brewer. He wasn’t going to help on the floor that much with his own play, but that’s not the only way a veteran of his type can “help on the floor.” From what it sounds like, though, he’ll land on his feet and may just find a new home where he can earn some minutes. Best of luck to him.